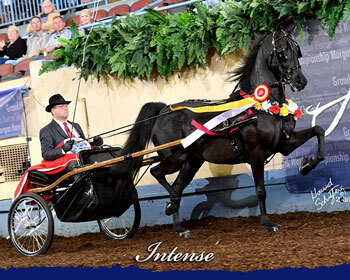 on their purchase of this once in a lifetime mare! It was a great first year in performance for our lovely Tess. It's hard to tell who's more in love with her, us or her trainers. 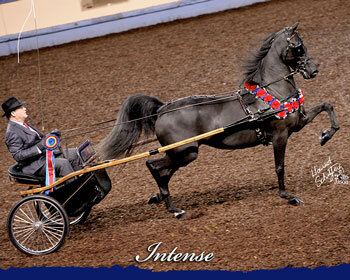 But she made all of us proud as she steadily improved through the season, culminating in two rose-laden victory passes at the Grand National in October. 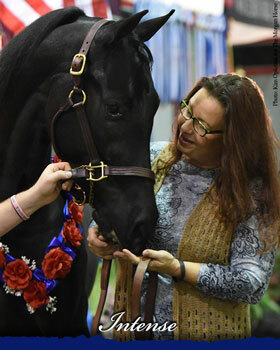 She also enjoyed winning her thankful owner a significant amount of money as the first recipient of the Morgan Weanling Gala Alumni Award! 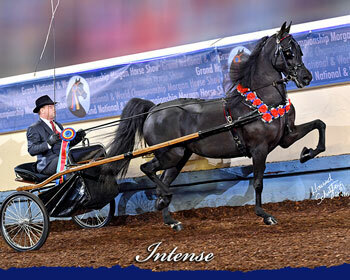 This was in addition to her money earned in the World Morgan Futurity. 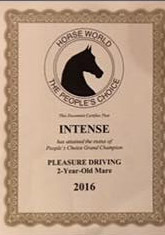 And to top it all off, the readers of Horse World magazine voted her their People's Choice Two Year Old Pleasure Driving Mare of the Year. 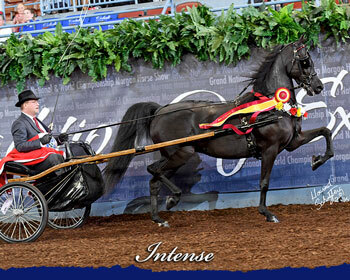 Out of the only full sister to our own MINION MILLENNIUM, this darling filly won our hearts through photos and video and was purchased shortly before she made her show ring debut at the very competitive 2014 Morgan Weanling Gala event, where she not only was chosen BEST PERFORMANCE of the entire horse show by the judges, but was also the highest scoring foal in Gala history! 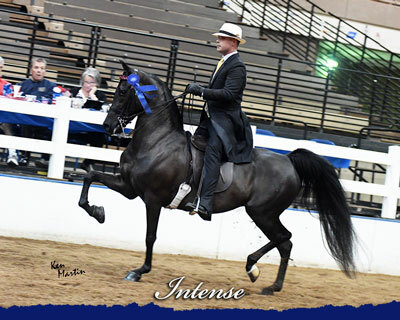 Sired by the late, great, multiple World Champion park horse SpiceOLife Present Tense, she is yet another testament to the strength of crossing Arboria Noble Victor on Serenity Masterpiece. 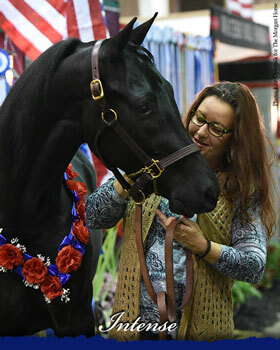 She has been a star in the in hand division while growing up, and achieved one of the toughest wins in the business by taking the Grand Champion Mare crown over all ages at the 2015 New England Regional. 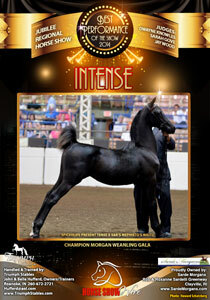 Very special thanks to our friends John & Belle Hufferd, who not only had the foresight to breed this gorgeous Morgan filly, but were generous enough to sell her to us!